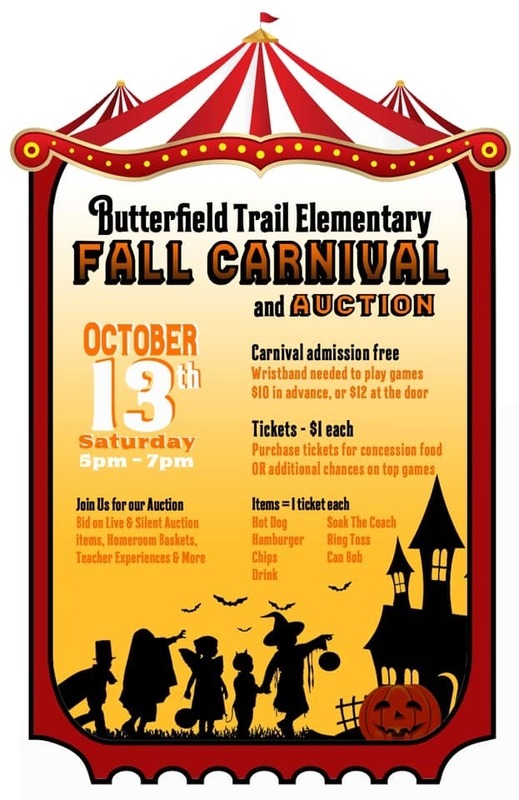 Don't miss Butterfield's fun tradition on October 13th from 5 to 7 pm!!! Get your bids ready ... it’s almost time for the Auction at the Fall Carnival! Class Baskets, Grab & Go Gift Cards, Gifts from the Heart from our Butterfield teachers, and larger items too ... there is so much fun to bid on! There will also be a live auction starting at 5:30!!! Come dressed in your costumes, play games, eat food, and bid on lots of fun things!